You are here: Home › Blogs › Community › The 2014 Giving Guide is here! Electronics are popular gifts for the holidays, but people often overlook the restrictions that manufacturers slip under the wrapping paper. From remote deletion of files to harsh rules about copying and sharing, some gifts take more than they give. The good news is that there are ethical companies making better devices that your loved ones can enjoy with freedom and privacy. 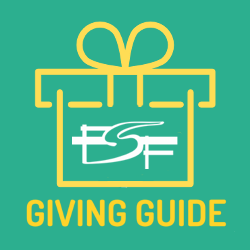 Today, we're launching the 2014 Giving Guide, the Free Software Foundation (FSF) guide to smarter gifts, compared with their restrictive counterparts. The 2014 Giving Guide has recommendations for laptops, 3D printers, and software that everyone on your list will love, and that they can use with complete freedom. We also include gifts to avoid--hardware and software that is not an ethical gift choice. Oh, and did we mention the savings? The Giving Guide contains special discounts on purchases from ThinkPenguin and Aleph Objects. This holiday season, you can give with confidence. Make sure your friends and family can too--share this Giving Guide with them with the hashtag #givefreely. Then, help spread the word even further--organize a Giving Guide Giveaway to raise awareness that buying conscientious gifts applies to computers and software too. We will be releasing translations of the Giving Guide soon, so no matter where you are in the world, you'll be able to share it. What are you waiting for, unwrap our 2014 Giving Guide to see our picks for gifts this year!